The latest surprise album in the industry is this new release from Church, which was first distributed to members of his fan club beginning on Tuesday. The title cut from it was just serviced to Country stations, which replaces “Roller Coaster Ride” from his previous album, a song that began to gain traction off unsolicited airplay in several markets. About a day of its purchases will count towards the previous week’s list, but this will still have a good uptick in sales. 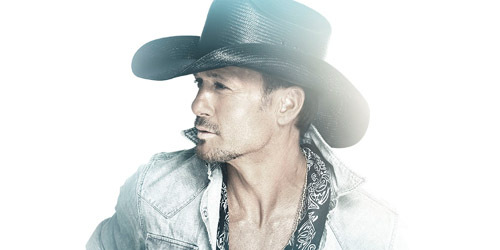 McGraw’s had a huge career in Country Music since his first top 40 single in 1994, and his 14th studio album has yet another top ten song still rising at the format, “Top Of The World”. 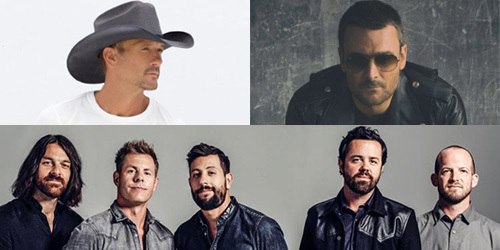 Though his opening week sales have been on the decline for over a decade, McGraw’s latest set should find a place in the top five, which may extend his streak to 13 in a row. They have the current #1 song (and perhaps a multi-week one) on Country radio with “Break Up With Him”, but the band’s relationship at radio and retail is just beginning. With an already successful EP under their belts, look for the album to debut nicely next week. No word yet on what the act’s next single will be. For releases outside the Country world this week, Goulding’s latest studio album is set for a solid entry next week. It includes “On My Mind”, an international hit that’s still climbing up the charts here in the States. Halcyon debuted at #9 on the Billboard 200 a little over three years ago. Their audience may not be as big in the U.S. as it certainly is across the pond, but the four women from the U.K. will be looking for their third top ten album here, even though single “Black Magic” hit a brick wall in the 20’s on the pop radio list. We’ll see what happens. Next Friday, our preview will include a hot Q4 album battle between Justin Bieber and One Direction. See you then! So, the Make A Move era went a little awry… but we can still remember the classics, including this, which was charging its way up into the top ten and eventually into the #2 spot. It remains DeGraw’s biggest single to date on my top 40, which I don’t think will be changing anytime soon. You can currently find the singer/songwriter on the road through the summer. Probably the most obscure out of this week’s top ten songs, this group from Tennessee was signed to Hollywood Records when they released June’s Picture Show, featuring “Will I Ever Make It Home?” (which just missed my chart) as well as this. It was at its peak, spending two weeks at #9. They haven’t charted since “Almost”, but they’re still together as a trio. After shooting to the top with their international hit, “Vertigo”, the Irish band changed the pace a taste with their second single from How To Dismantle An Atomic Bomb. Leader Bono wrote the song as a tribute to his father, who passed away four years before this single saw its release. “Sometimes” spent four weeks in a row at #8 and went to #97 on the Hot 100. It’s hard to believe that the Canadian crooner has been making my top 40 for over a decade now, but it was back in 2003 that his remake of “How Can You Mend A Broken Heart?” peaked just outside the top 20. His first original song to chart became his first top ten, climbing to #3. He’s now been to #1 four times, most recently with 2013’s “It’s A Beautiful Day”. Surf’s up! Surfer turned singer Johnson had just released his new album, In Between Dreams, a few weeks before this and caught a tasty wave into the runner-up spot behind 50 Cent’s The Massacre. “Sitting” remains Johnson’s only #1 to make my chart, though he’s gone top ten six times since 2002. 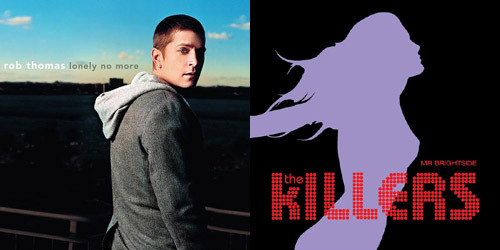 The last, “You And Your Heart”, spent two weeks at #2 in 2010. It was one of the most hyped-up releases during the spring of 2005, and it hit my chart with a bang. 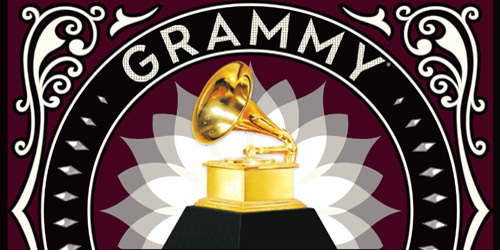 “Lonely” is Thomas’s second-longest running #1 on my survey at six weeks total, just eclipsed by the eight weeks that “Her Diamonds” led atop in 2009. Parent album Something To Be also went to #1 on the Billboard 200. He continues on a solo tour through May. This may just be one of the musical equivalents of The Little Engine That Could. Co-written with Kevin Griffin of the trio Better Than Ezra, “Collide” slowly crept up the charts and topped my own for three weeks. Day is one of a handful acts to break nationally from the Pine Tree State, Maine. The others are Rick Pinette & Oak, Spose and Anna Kendrick. Yeehaw, kids. McGraw’s powerful ballad was the only Country hit in the top 40 that week, a huge #1 on that airplay chart during the prior year. Of course, he was also featured on Nelly‘s “Over And Over”, a chart-topping CHR record, but that didn’t end up on my list. “Live” is his biggest song to date. He’s now gaining on Country radio with “Lookin’ For That Girl”. Talk about a huge surprise! After leadoff “(Reach Up For The) Sunrise” barely missed the top ten in 2004 with a still very respectable peak, “Tomorrow” became a monster smash and spent six weeks at #1. This enabled it to be ranked as the top song on my Top 100 of 2005. It also became a moderate entry on the Hot AC airwaves. The quartet last charted in 2011. Somebody told me that this song was riding high on my chart for a second week in a row. Gee, I wonder who it was? Well, the second charting single for this band from Las Vegas was indeed their biggest on my top 40, managing to hold onto the top spot for three weeks. The group’s had a pretty consistent output since then, including a few more top ten records, but “Brightside” remains their signature hit. Leader Brandon Flowers went to #1 for three weeks with “Crossfire” in 2010.